The BDC is organizing an editing workshop in collaboration with Colectivo +1 from Colombia. Colectivo +1 will walk participants through the editing process and the hands on training will be complemented with reflections on how to structure and disseminate photography projects. The workshop instructors will use their extensive experience to discuss the different stages that accompany the publishing of a photographic project. The workshop will also feature discussions of Latin American photography and presentations of photobooks/projects by Colectivo +1 members: "Lucía" by Santiago Escobar-Jaramillo, "Dulce y Salada" by Jorge Panchoaga and "Llano" by Juanita Escobar. Participants are expected to bring a work in development or finished projects. Works can be printed or digital. Please bring your own laptop if you plan on working from digital files. El BDC está organizando un taller en edición en colaboración con Colectivo+1 de Colombia. La formación práctica va a ser complementada con reflexiones sobre la estructuración y la difusión de proyectos fotográficos. El taller también incluirá discusiones sobre fotografía latinoamericana y presentaciones de fotolibros/proyectos realizados por los miembros de Colectivo +1: “Lucía” de Santiago Escobar-Jaramillo, “Dulce y Salada” de Jorge Panchoaga y “Llano” de Juanita Escobar. Se espera que los participantes traigan para trabajar sobre un proyecto en desarrollo o terminado. Los trabajos pueden ser impresos o digitales. Por favor traiga su propio ordenador portátil si usted planea trabajar desde archivos digitales. This workshop is being provided free of charge. Donations are welcomed and appreciated. Colectivo +1 is a photo collective of 5 Colombian photographers: Santiago Escobar-Jaramillo, Juanita Escobar, Federico Pardo and Jorge Panchoaga. Their goal is to seek out and foster collaborations between photographers from different collectives and institutions -the “+1”- in order to develop and produce powerful photographic experiences. Since 2014 Colectivo +1 has been producing 20FOTÓGRAFOS, one of Latin America’s most innovative and impactful photo workshops. Santiago Escobar-Jaramillo studied architecture at the National University of Colombia. He received an MA in Photography and Urban Cultures at Goldsmiths College, University of London. He’s a member of Colectivo +1, CROMA, FUJIFILM’s X-Photographer. 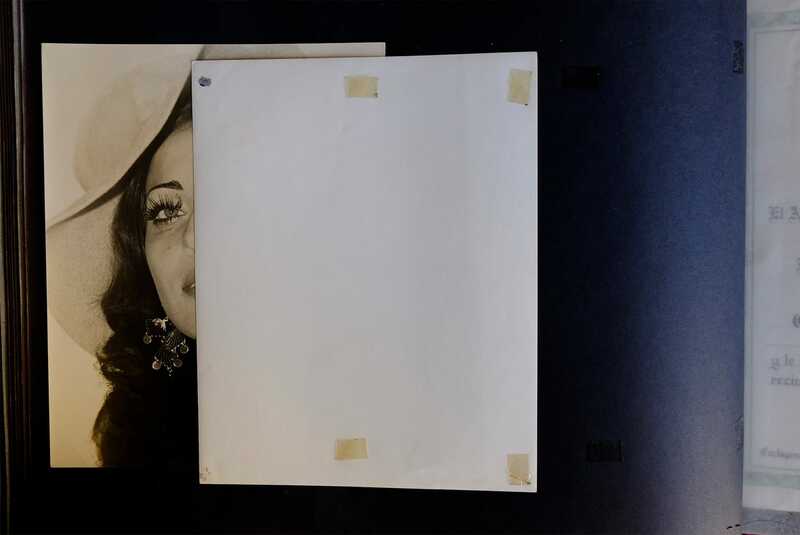 Escobar-Jaramillo has exhibited in over 90 individual and group exhibitions including, Fototeca de Cuba, 42 Salón Nacional de Artistas, #20FotógrafosAmazonas/Tlacotalpan, DRCLAS-Harvard University and MIT. He was a TED speaker and worked at Villegas Editores for 5 years. He designs photobooks in his free time. His new book Colombia, tierra de luz is set to be published at the end of 2018. He has run workshops for Zona Cinco, NatGeoStudentExpeditions, Banco de la República, Don Bosco, Taller de Fotografía Roberto Mata and designs photobooks for other photographers when he has time. Panchoaga is an anthropologist and a photographer. His work deals with questions of identity, memory, language and the relationship between human beings and the environment. His work has been published in The New York Times, National Geographic, L'oeil de la Photographie, El País Spain, among others. He was awarded second place at POYLatam in 2017 and won Emerging Talent Award of Lens Culture in 2016. In 2015 he was nominated for the World Press Photo Latin America Masterclass. He is the co-founder of Colectivo +1 and CROMA Taller Visual. Panchoaga is currently an X-Photographer for FUJIFILM. Juanita Escobar is a self-taught photographer, winner of the Colombian National Photography Prize in 2009 with her work People – Land, exhibited in the Santa Clara Museum, Bogotá, and co-author of the book, Silences: A plain of Women published by Número in 2009. She was awarded the Crea Digital scholarship by the Ministry of Culture and Technologies in Colombia for her e-book, El llano a ras de cielo. In 2015, Escobar was selected for the World Press Masterclass Latin America in Mexico. In 2016 she won the Portfolio Review Prize from National Geographic Society for her 9 year long body of work, Llano. In 2017 the Peruvian publisher house KWY published Llano. Later that same year she was selected for the World Press Photo Joop Swart Masterclass in Amsterdam. This year, she was awarded the Magnum Foundation Fund for her ongoing project Orinoco, Women’s Journal. She has been a member of the Colombian photography collective Colectivo +1 since 2016.